Welcome to Adams Freight Forwarding Inc.
Adams Freight Forwarding specializes in transporting equipment and machinery of all sizes, including steel and farm implements. The Adams Team moves Truck load, LTL and oversized shipments over the road and with well over 1000 carriers on the Adams team, we have truck availability virtually everywhere in North America. 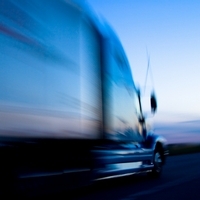 All of our carriers are fully equipped and insured and are based throughout North America. With over 25 years experience in the handling of a variety of cargo, you can trust us with any commodity that you have to ship. We have a wide assortment of equipment including, flat and stepdeck, dry van, lowbed, stretch (trombone) and a variety of specialty tractors and trailers. We also offer Heavy Haul, Hot Shot and Team service.